I was able to pick whatever I wanted from Style Maker Fabrics’ huge inventory of beautiful new spring fabrics and unsurprisingly I chose a solid chambray and then went a little crazy with a navy floral. 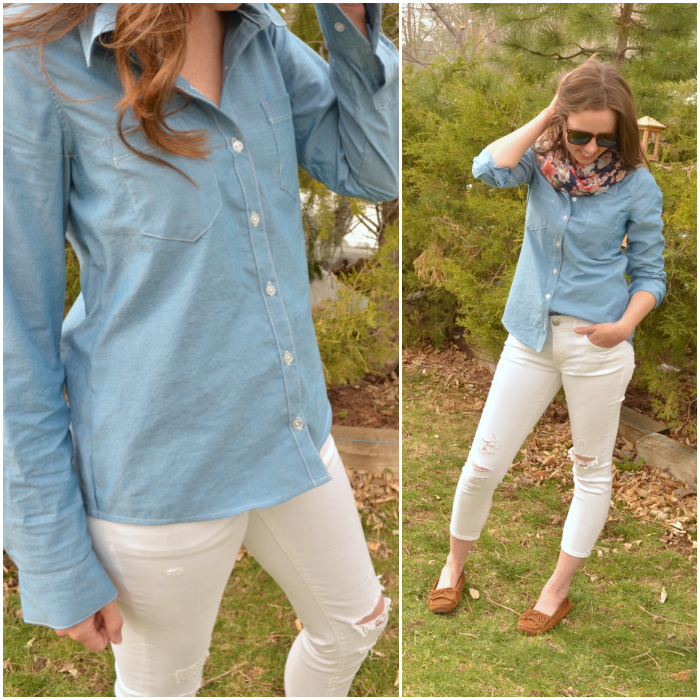 But this isn’t just any chambray fabric – it’s the fabric I’ve been searching for unsuccessfully for months!! 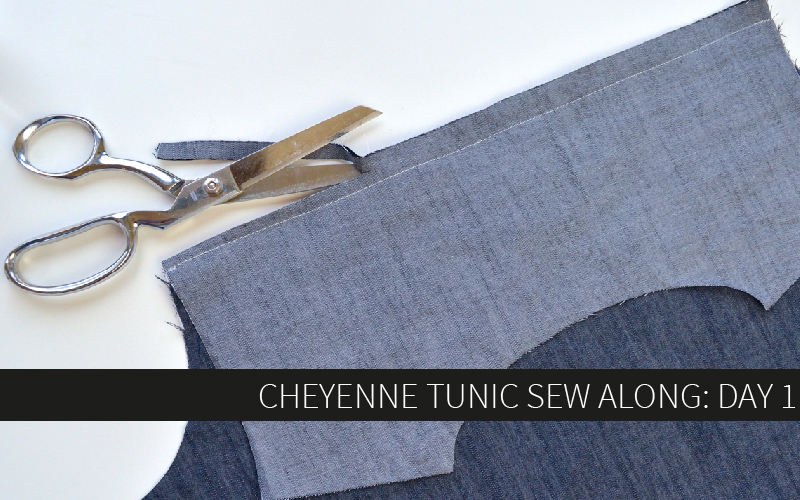 When I first developed the Cheyenne pattern all I wanted was to make a tencel version like the kind I kept seeing in RTW. But do you think you could buy tencel fabric? No you could not. And then Style Maker Fabrics laid it at my feet and I died. And then I came back to life and made a Cheyenne! I know I say this a lot, but this is my favorite thing I’ve ever made. No, seriously. 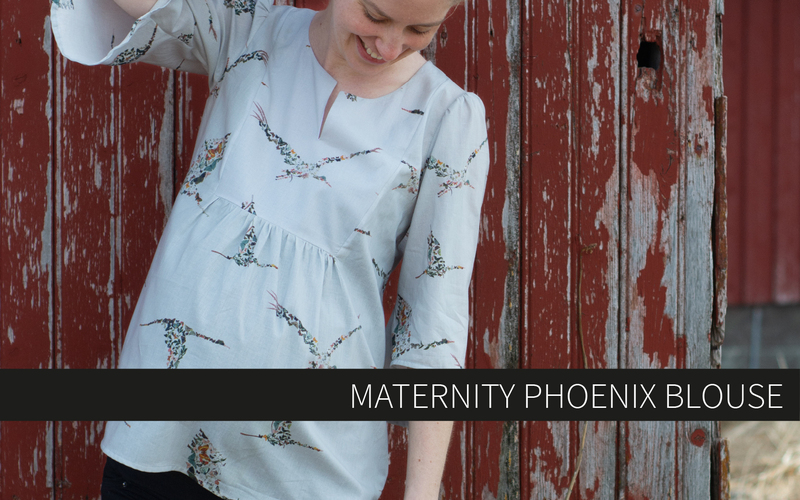 This Japanese Tencel shirting is sooo indescribably soft, it has a slight sheen, it drapes in exactly the right way, and it was ridiculously easy to sew. Even the selvages are drool worthy. Go get you some. Do it now, go. I’ll be here when you get back. I chose the soft floral chiffon originally intending to make a simple gathered skirt to go with my amazing new shirt, but a combination of out of town visitors, a pattern release, a blizzard, 36 hours without electricity, and 3 days and counting of being sick interfered with those plans. I decided a much more achievable goal would be a simple infinity scarf. 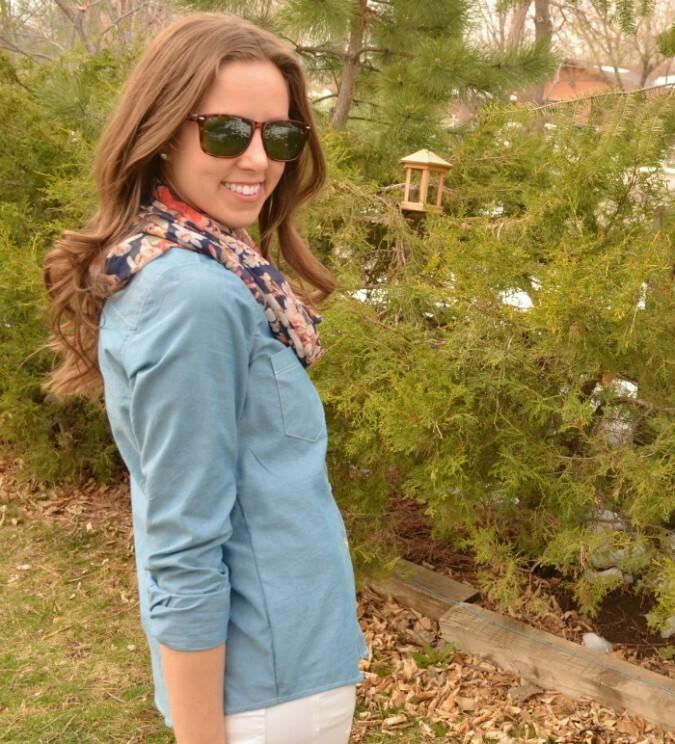 I love how this soft print adds the perfect spring touch to my otherwise plain outfit. 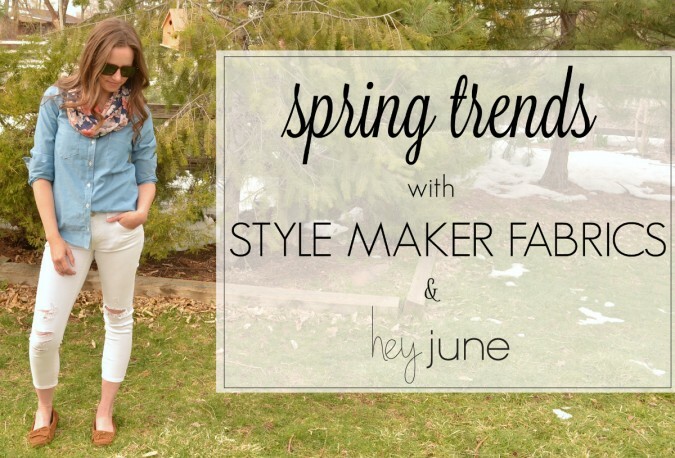 Style Maker Fabrics has made it really easy to see all their new Spring fabrics and to give you some inspiration. 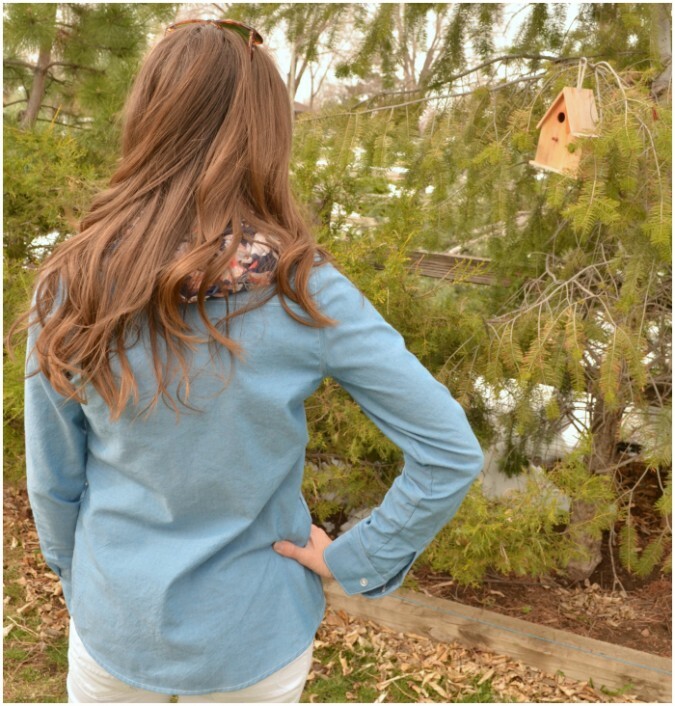 They’ve also created several Pinterest boards for each Spring trend which you can read all about on their blog. I used the “denim comfort” board and the “light and airy” board for my inspiration. 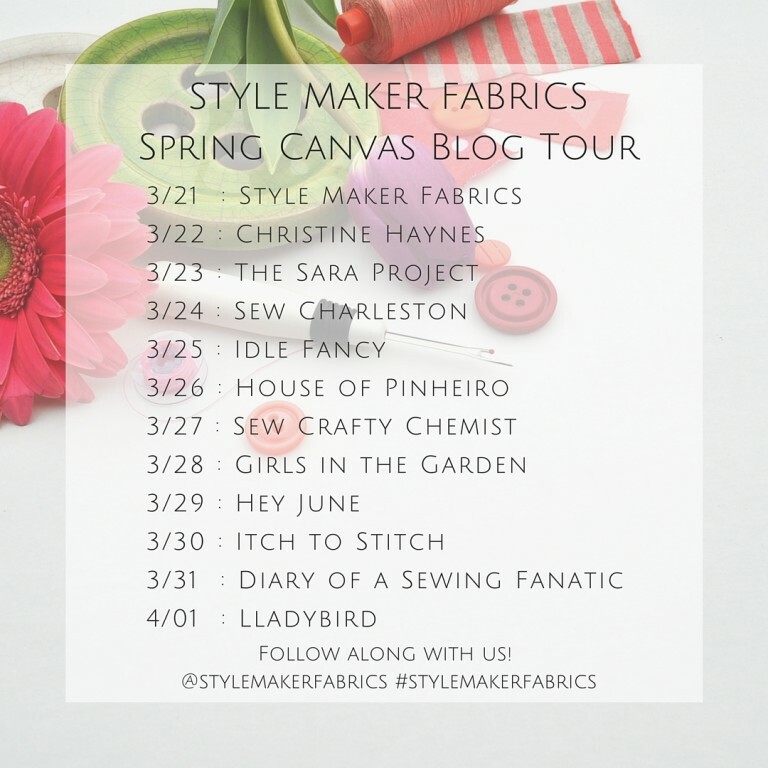 There’s a ton of fantastic blogs on the Style Maker Fabrics tour, so make sure to follow along! Up tomorrow is the amazing Kennis from Itch to Stitch! 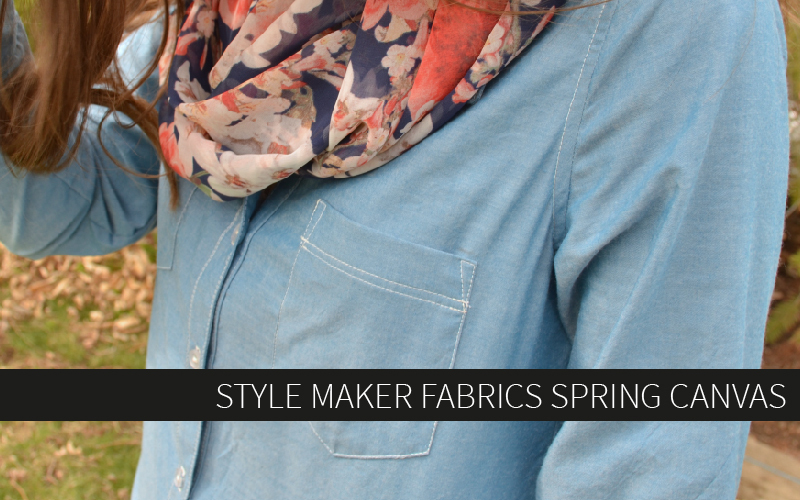 I’m excited to have a new fabric store to recommend to people – if you haven’t checked out Style Maker Fabrics yet, do yourself a favor and head over there. I’m excited that I found them through instagram and this blog tour but I’d honestly be recommending them anyway. 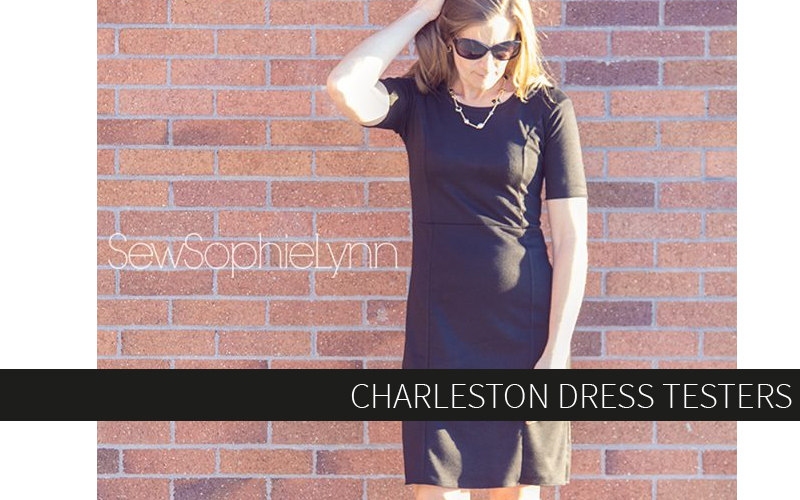 It’s hard to find good apparel fabrics online. They have a really great inventory of trim, notions, and all different substrates of fabric, easy searching, great prices, and $5 shipping! You can’t really ask for more! 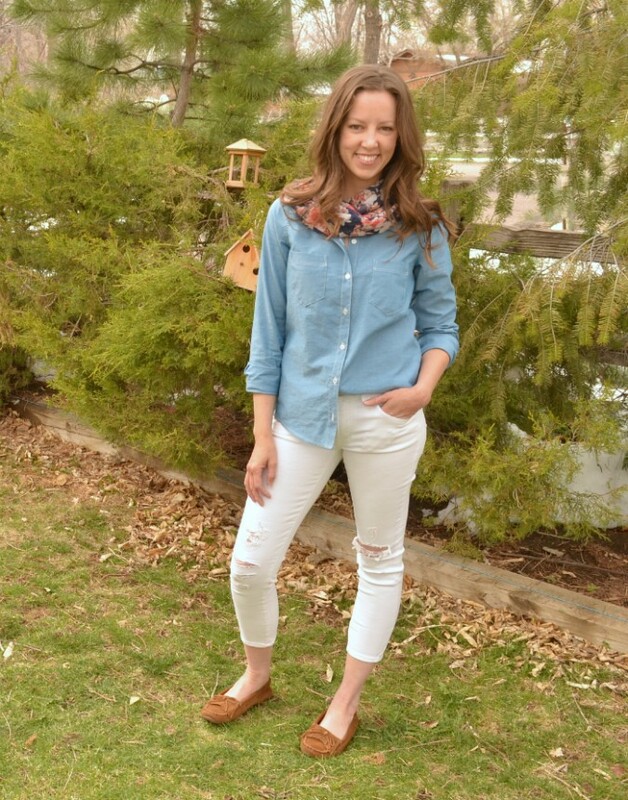 Great make….love tencel don’t you!….I think the scarf adds alot!…. You’re killing me! I’m supposed to be on fabric embargo, but this looks amazing! I’m learning…not sure I know what tencel means but it looks great! And thanks to the blog tour I found your patterns! 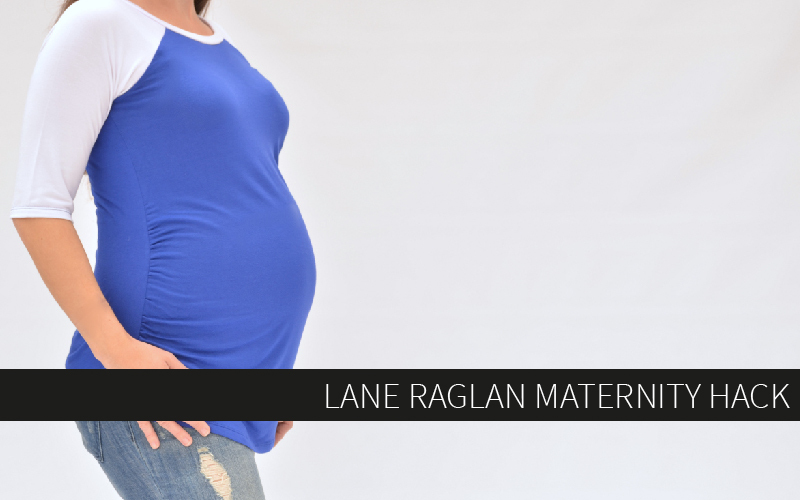 Just need the time and the printer to make my first Lane Raglan…thanks! Tencel fabric is a wood base textile …it has a very nice hand, with few wrinkles….the fabric is considered organic. 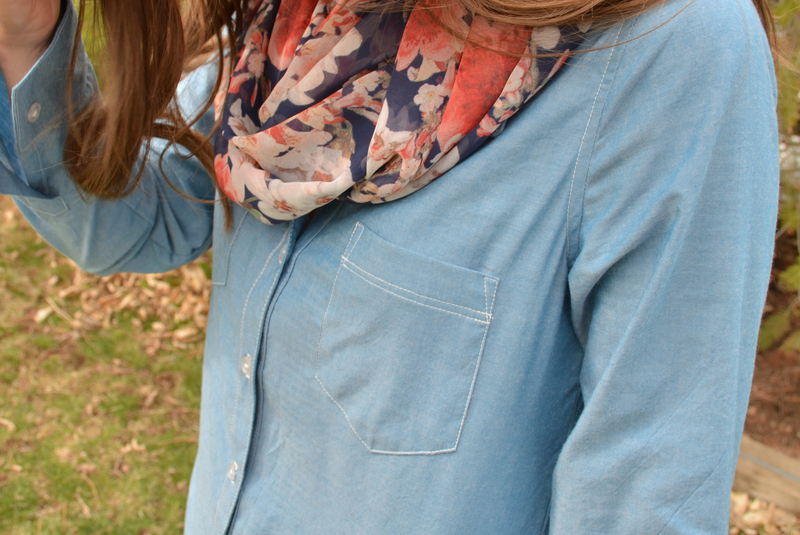 I love your shirt and scarf combination! You’re right they definitely say spring! Now I’m jonesing for some of that chambray!